In a roudabout way it did refer to a Bread shop. I did enjoy some of the story. The characters were fun ,and interesting. But I won't need to get a map ,to go on a tore of the city .I felt the route was a very long and unnessery discription. It took you away from some of the characters some of whom I would of liked to have more input from. Enjoyed thoroughly,I am Glasgow born,the book was very nostalgic to me & I will be reading more of the authors works.Thankyou. The Breadmakers Saga is three books - the Breadmakers, A Baby Might be Crying, and A Sort of Peace. 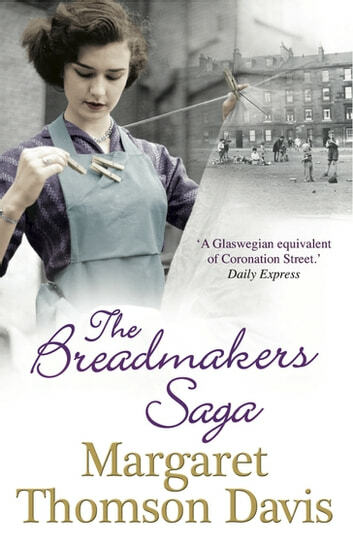 At first I experienced culture shock - Breadmakers took place between the wars and in a poverty-ridden area of Glasgow. The accents were thick and the geography so unfamiliar, it was a challenge to get a sense of time and place. Eventually, as the characters developed and I became more invested in their lives, I began to find it hard to put the Kobo down. The progression became even more engrossing through the two subsequent novels and I thoroughly appreciated the author's abilities in storytelling. I recommend this saga to anyone who enjoys good historical fiction and fine storytelling.